The integration of an extremely wide range of educational visits and residential trips not only broadens pupils' experiences, building tolerance and respect for ways of living different to their own, but also promotes insightful discussions. The most striking feature of a child’s experience at Dolphin, is the unique residential trip programme. This begins in Year 3, and by Year 5 the children will experience at least two residential trips a year. One of those trips is a walking trip, when the children will develop skills in independence, leadership and teamwork as well as their physical skills. These trips go to a range of beautiful areas such as the Lake District, Snowdonia and the Alps. The other trips are field trips, designed to stimulate the child with real life multisensory experiences, bringing to life aspects of British and European culture, history and environment. What better way to learn about the Industrial revolution than becoming a Victorian and going down a coal mine, touching the Ironbridge and fashioning some china or being a medieval Welsh soldier in your castle fighting off the English. Some Dolphin children have the opportunity to perform beyond the school hall in Edinburgh, advertising their show on the Royal Mile and then performing it at the Edinburgh Fringe. Most children will learn about the Romans through books and DVDs but Dolphin children walk the same walk from the underground cells, to the arena in the Colosseum, as the gladiators did and pace around Hadrian’s Villa just as he did 2,000 years ago! 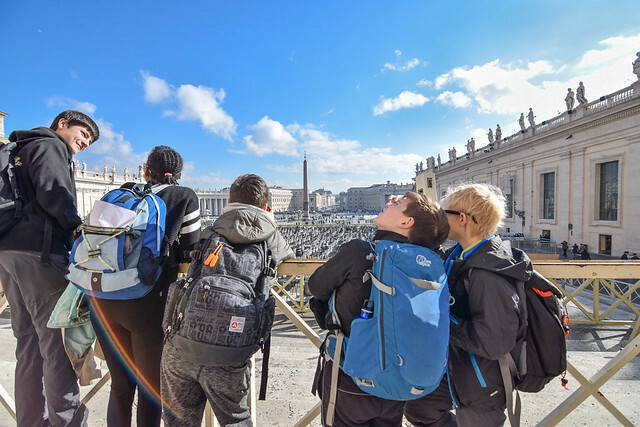 The integration of an extremely wide range of educational visits and residential trips not only broadens pupils’ experiences, building tolerance and respect for ways of living different to their own, but also promotes insightful discussions.